Super low mileage, 1 owner trade. 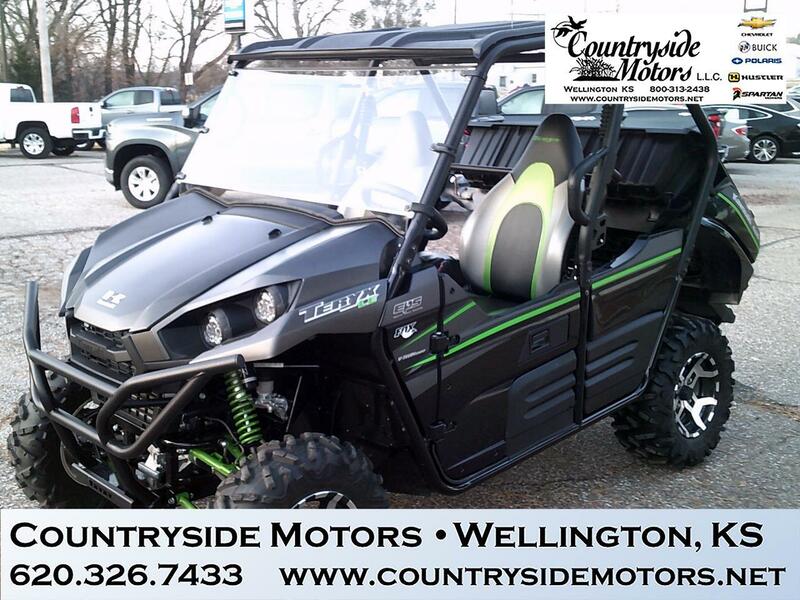 This Teryx 800 LE comes in Candy Lime Green. The tilt hood was replaced by more aggressive fenders and a removable hood panel for airbox and battery access, plus a new, replaceable fender brace. This bar was required, because the camo and Limited Edition got quad LED headlights with separate high/low toggles on the dash and 20.4-watt high-beam and 10.2-watt low-beam output. A larger steel tube front bumper protects the new front end, and the Fox Podium X 2.0 piggyback shocks got new valving for optimized ride quality and performance. 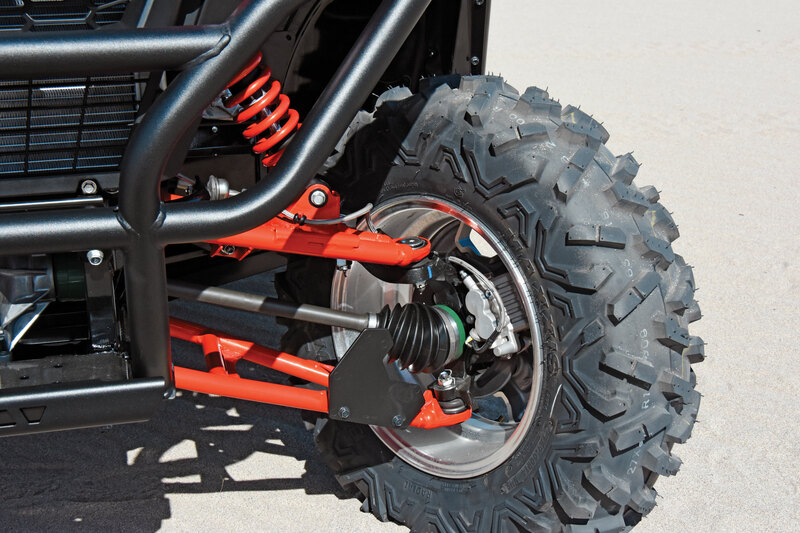 Limiteds upgrade to 27-inch Bighorns on two-tone, cast-aluminum, 14-inch wheels. A roof comes on the camo and LE, but the cabin got the majority of the attention with tool-less, three-position driver’s seat adjustment, infinite-position tilt steering and a tool-adjustable passenger seat. The steering wheel is over-molded for better grip and comfort, and the dash has centrally located controls and a multifunction digital display tilted towards the driver. There are four blanks for accessory switches in the two-piece dash with textured plastic. The rear transfer case got new bevel gears, and the multi-disc, wet-pack rear brake has a manual parking brake on the center console, which also has a rear-facing 12-volt outlet for powering a sprayer or other accessories. The Double-X frame is upswept with a 79-degree approach angle and has an upswept rear and sides for additional ground clearance. The Teryx has two rear storage bins and a 600-pound-capacity tilt bed, while the T-4 has a small bed behind the rear stadium seats with a 249-pound cargo capacity. Message: Thought you might be interested in this 2016 Kawasaki Teryx.